"But she was uncomfortable after her dive when she complied with the dive director's directions from the tables, and from her computer! " Yes, these phrases "even if" "while" are unfortunately quite common in decompression sickness care services (ADD) before hyperbaric chamber treatments ... Some accidents remain unexplained even if many causes of accidents can occur. be easily identified by human error (poor equipment maintenance, physical damage with floating cables, head knocking under the boat at the ascent because lack of observation by being attentive to his learner - it is lived - ...). Does that mean computers and tables say nonsense? Maybe not ... These tables (MN90, BSAC, PADI ...) and these algorithms (Bühlmann most often, RGBM, ZHL-16 B etc.) are based on occurrences of ADD with a quantity of dives analyzed under conditions known as those of the US Navy 08. Occurrences of accidents, which have been reported for the greatest number of divers with the physiology of everything to everyone. Yes, let's not forget that we are unique beings! Everyone is not conceived in the same mold, with the same chances (or misfortunes) of bubble formation in the circulation with decompression: everyone makes microbubbles during a dive, this is the principle , but each has a tolerance threshold in size / area and a probability of formation / storage! The small quantities of nitrogen mainly, entered simply by capillarity, without a particular transporter unlike the cases of carbon dioxide (CO2) or oxygen (O2), and taking time to stand out after their ride and dispersion while the length of the dive, change in volume according to the pressure to which the body is subjected during the dive. We are not all equal in the face of the ADD and the computers offer a variability of settings often not indicative to adapt it to its own case. A custom decompression would be a grail to achieve. O'Dive is a small device that sits in the palm of the hand and once pressed against the clavicle takes acoustic measurements by Doppler effect (the change of sound of the car passing in front of us) to the passage of bubbles, the counting in the vein passing under! The volume of free gases in the blood and especially the resulting surface are estimated without pill, without sting, without pain! Once linked to the smartphone application launched to analyze its measurements, O'Dive allows to obtain information on its own diving procedure for an optimization of its personal practice, by simulation in individualized model. I will explain, but let's take the story. Azoth Systems is originally a company based on the service to large companies using daily means of professional diving, with the aim of improving the safety vis-à-vis the risk of diving accidents (Total, Defense, large companies…). 90% of the turnover is made internationally, and particularly with Asia, which has increased its investments in the diving field in recent years. What? Have I not spoken before about dives in known conditions? What better than the Defense and the professionals to respect perfectly the parameters of diving and thus to provide an exploitable database of individuals exposed to accidents (= respect of the scientific protocol of validity of the data)? For 10 years, after 2 M € spent on Research and Development (... millions!) Financed by the activity of Azoth Systems with the addition of the classic fundraising for its development, objective realized by the potentiality of this research and not by crowdfunding as it is currently fashionable for ideas that are often unachievable ...) and several millions of data from various sources, the Azoth Systems team was able to establish the statistical relationship between post-dive bubbles and the severity of the dive. Indeed, bubbles, natural way for our body to evacuate the accumulated gas charge, usually appear between 20 minutes and 1 hour after the dive, with the accumulation of microbubbles that add up and gain volume by decompression. With their 150 years cumulative experience, they have developed this post-dive bubble sensor system, which with the dive parameters (depth, time passed, ..) and field data (temperature ...) coming directly from the computer or entered via questionnaire as the size and the weight of the diver (strongly the automatic sensor), can analyze this sum of data in deferred time (after the dive) directly on the Azoth Systems server via the smartphone to give information to improve the next dive, to shape its personal decompression, adapted to its practice and its physiology. (2 steps - to avoid the mistakes of manip'- of 30s taken between 30min and 1h after the dive) Attention, it is not a medical device able to say "I am OK, I can force". An online personal profile thus presents the dives performed, a qualitative index (taking into account the level of bubbles measured for each one) and thus gives by simulation what would have been the changes in the index according to parameterizable options (lengthen the time of bearings, reduce the depth, pass to the mixtures ...): this individual model makes it possible then to modify its practice to know its limits and thus to establish its own parameters of decompression according to the severity of the dive! Yes, severity of the dive. No there is no risk of slap (it depends only on the state of nervousness of the pair ...). The large number of accidents analyzed made it possible to reveal the new parameter of "severity" or ratio between an occurrence of accidents according to the physical parameters depth / time at the bottom / duration of the ascent / gas breathed etc. : this parameter groups the others in fact, it simplifies the discussions! This ranking has made it possible to determine "bubbling modes" with average statistical differences over more than 10,000 divers, followed by a protocol over time, with post-drip bubble measurements and severity index. Bullage Low = low presence of bubbles, they make anyway from a certain severity of the dive but less than average. The bubbles are only remarkable in a short time because they are quickly eliminated. Upper bullage = presence of significant bubbles that can remain detectable because it takes time to be evacuated. In fact, the predictive value of the bubbles is zero ... Sorry, but saying "High post-dive bubble level = ADD assured" is statistically low. What a disappointment to intuition after these explanations! But the opposite is completely verified! "No bubbles = Quality diving procedure" with reduced crash risk is checked and confirmed. This is the principle of application and simulation treatment (scientific publication in progress): to give the diver information to possibly advance it by allowing him to judge a level of quality of his practice and by indicating him by simulation the influence of each available option. 3 to 5 dives are required according to practice for this calibration to be effective. Once his personal model calibrated, why buy the device then? Because the quality of the practice varies over time! Many factors, not always quantifiable, influence: physical condition, training, fatigue, age ... and even according to the current corpulence (current diet?) Or simply the state of stress! This is NOT ONE profile and ONE category per person, but a MULTIPLICITY depending on the case. The more we do measurements, the more we increase the connected database to further improve the models (already solid) but above all will ultimately build its own moving dive table! 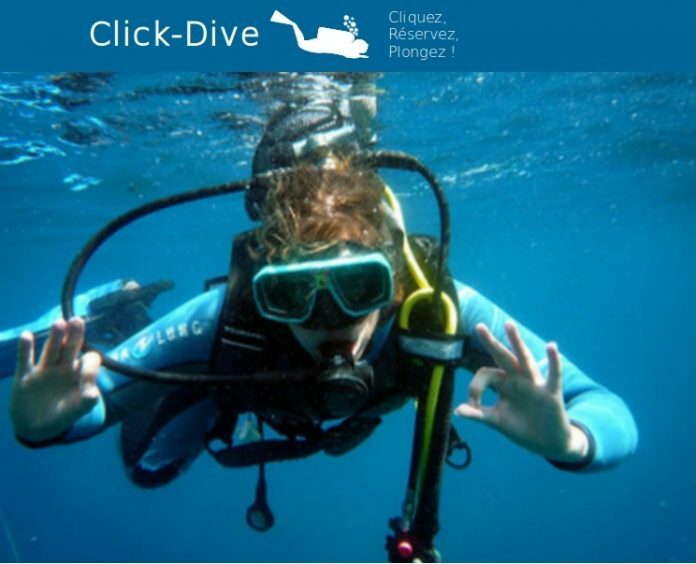 After a first phase of beta tests with qualified divers (Frédéric Swierczynski, Xavier Meniscus and Alban Michon among many others) who have been or will be chosen from particular profiles to use the product and properly qualify the uses before actual marketing this summer, dive clubs will also be selected to mount the future offers so that the "normal" diver can take advantage of this new technology. What is sought is not a performance panel, but a strong implication and a real feedback! Any interested and motivated diver can apply to participate in future versions and evolve the model, just share and ... use it! It would be good then to have done a few dives with O'Dive measures to calibrate an individual model, which would indicate the procedure to follow to dive serenely while remaining in his personal limits, limiting the presence of bubbles in his precise case. Complete presentation of this new material and additional information during the launch which will take place in Mourillon (Toulon) on May 3rd, 2018 (contact@azoth-systems.com Tél : +33 9 67 53 41 94 I ). Illustration and other pictures from O'Dive.